They were almost certain she wasn’t going to survive. 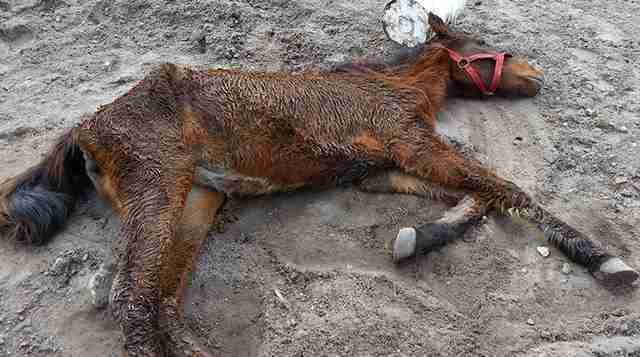 Extremely skinny and lying in the dirt, the young pony was so weak she could barely lift her own head to get a glance at the people who had come to save her. No one knew how long she and four other horses had been living at the run-down boarding facility — or how long it had been since their last meal. 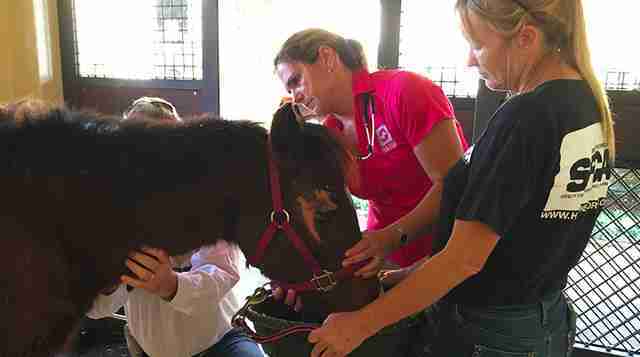 Since she couldn’t stand up on her own, first responders jumped into action to safely get the pony into a trailer. They got her to their ranch as soon as they could, but they knew it was likely her organs were failing. Still, rescuers had hope, so they decided on the perfect name for her: Amazing Grace. But she was determined to survive. 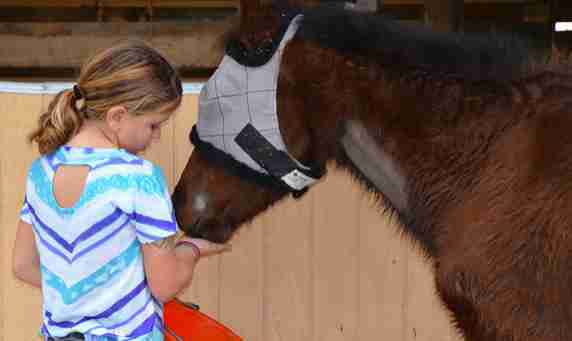 Grace soon went on to Palm Beach Equine Clinic, where she stayed for a week for around-the-clock care from a medical team. And when Grace returned to the SPCA’s rescue ranch one week later, she received the same warm welcome. Although she wasn’t fully recovered yet, volunteers spent countless hours making sure she had everything she needed — including the love she’d went without in her former life. A few months into recovery, Amazing Grace was finally getting healthy again. 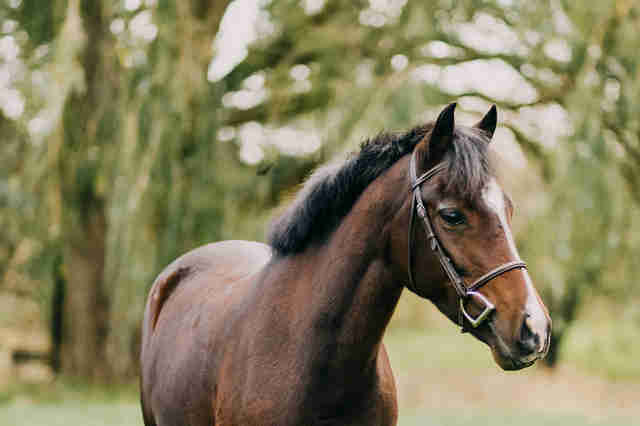 She started showing off her personality — and, like many ponies, she had a sassy side. 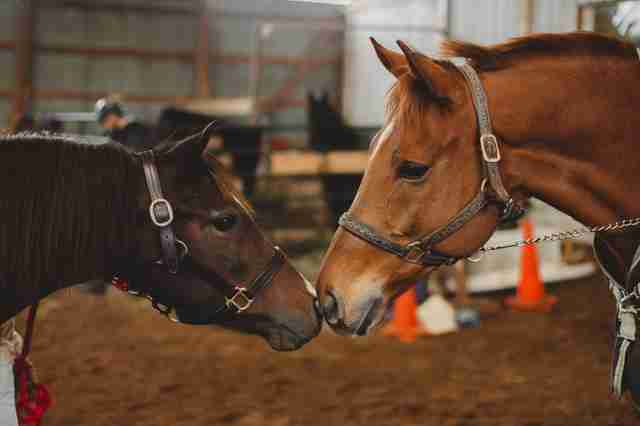 Luckily, it didn’t take long before the owner of a show barn in Ontario, Canada, Marilyn Lee, fell in love with her photo online. Lee is very familiar with rescue horses. 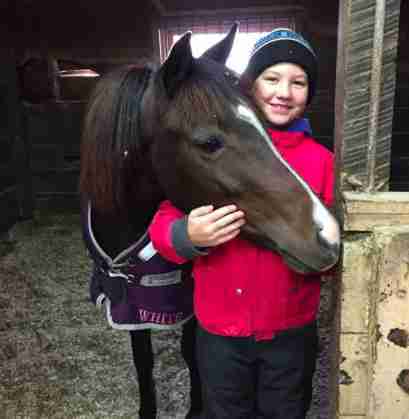 In 2013, she adopted a horse named Prodigioso who was also found abandoned without food or water in the Florida area. In December 2016, she officially adopted Grace, too. Grace settled in wonderfully to her new home and spent every day with Lee’s daughter, Robin Hannah, to learn the ropes of riding. After she got the hang of jumping, too, it wasn’t long before Grace and Abby were prepared to compete for the first time together. 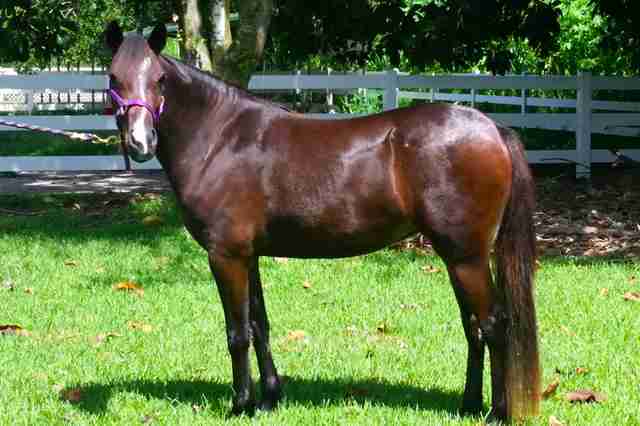 In the show ring, Grace was barely recognizable from the emaciated pony who was found lying in the dirt in Florida. Her body was now healthy and strong, and her expression was bright and happy. 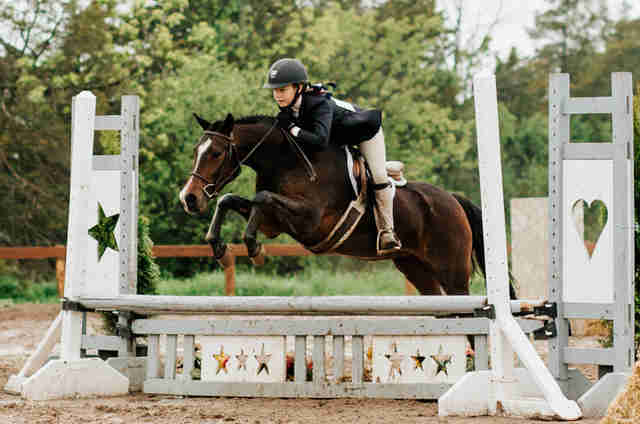 She trotted and jumped with ease, and it was clear just how much she loved being there. The judges loved having her there, too. 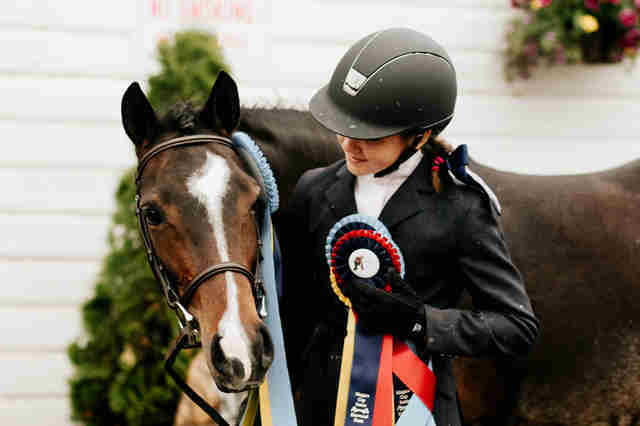 Grace and Abby were awarded several ribbons in their first show together — something that almost seemed unimaginable for a horse who was in such a dangerous situation just the year before. That feeling is one Delanoy, too, knows well. 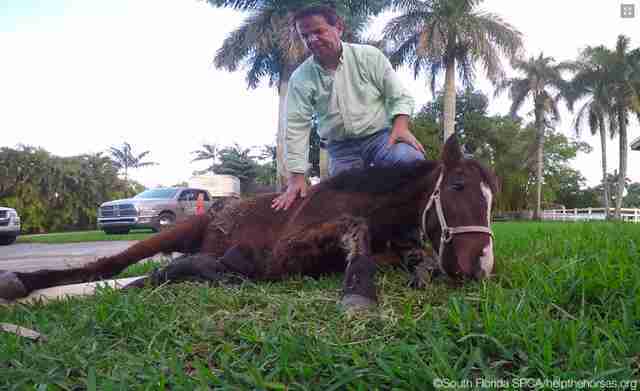 To help save more horses like Amazing Grace, you can make a donation to South Florida SPCA Horse Rescue.